Wow! 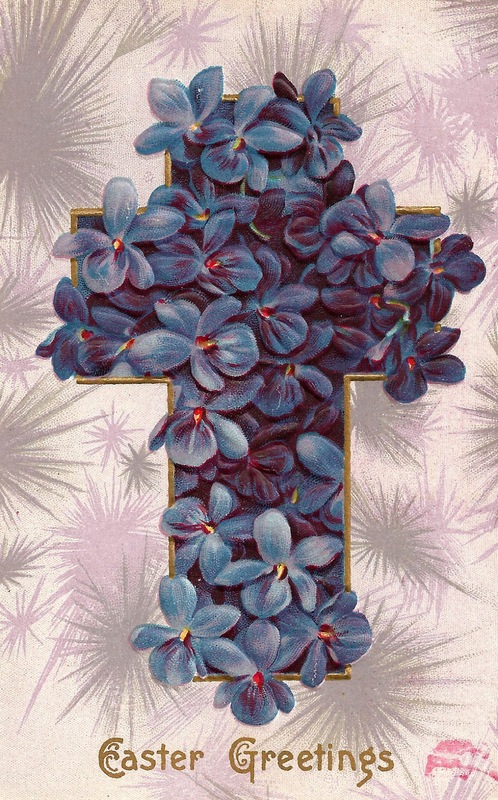 I love this incredible Easter graphic I found on a vintage Easter Greeting postcard. 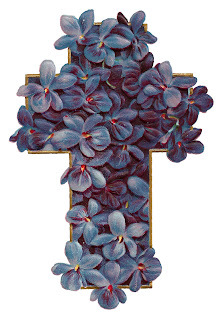 I've singled out the GORGEOUS flower cross image. Isn't it just spectacular?! Those Forget-Me-Not Flowers are so vibrant and beautiful and will make any of your Easter projects shine. Enjoy!